A friend visiting from Johor once remarked how the Klang Valley seems to have an abundance of Japanese restaurants – something I never noticed until she pointed it out, lol. 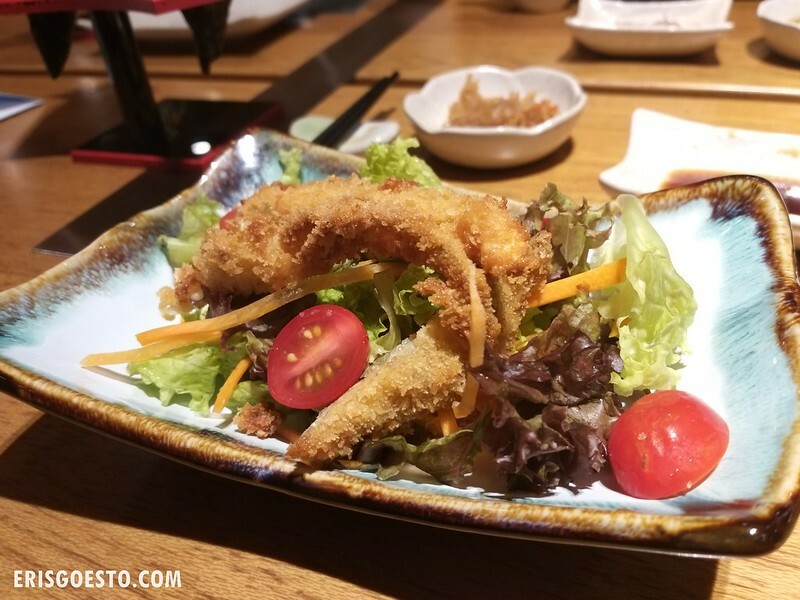 It’s true though – Japanese restos are a dime a dozen in and around KL. You have cheap sushi joints, teppanyaki places, yakiniku spots, ramen restaurants – you name it, we got it. 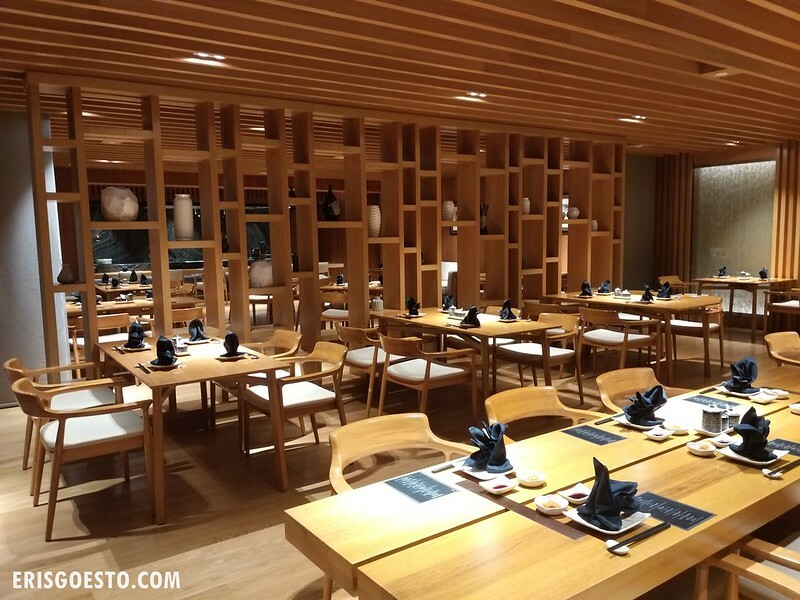 If you’re craving for authentic stuff and have got the moolah to splurge, there’s Miyabi, Sheraton PJ’s Japanese restaurant. 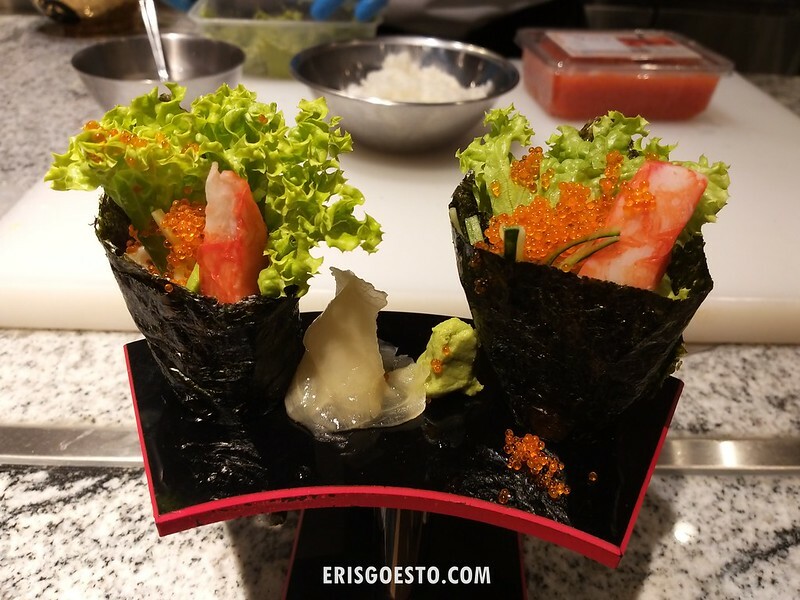 Helmed by chef Dino Png, the place offers traditional kaiseki (multi-course) meals, or omakase (literally ‘as you like’) where the chef creates a menu for you. The resto itself is pretty spacious and able to accommodate up to 120 pax. Decor is Japanese inspired and minimalist – clean lines, lots of wood, warm tones. 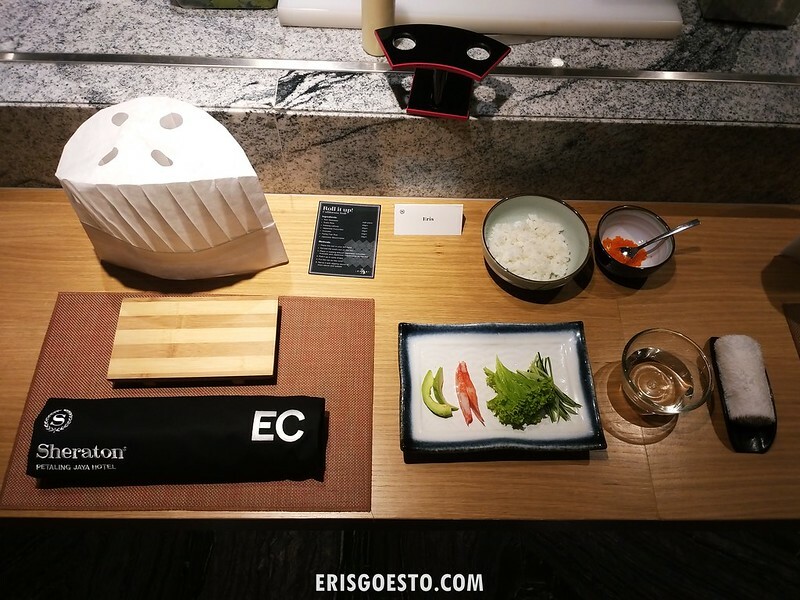 For our media tasting session, the restaurant arranged for a fun little sushi making session to create our own hand rolls! Technicalllyyy all the ingredients were sliced and ready – all we had to do was form it into a roll – but it was easier said than done. A lot of it ended up falling apart lmao. At the end of it Chef Png ‘judged’ our creations – and somehow my misshapen ones were deemed the ‘best’. The rest must have been terrible looking lol. I much prefer people cooking for me xD On to the food! Our Kaiseki lunch kicked off with Zensai, an assorted appetiser of three items. There was Umi Budo, which were sea grapes with ponzu sauce (not pictured). If you’ve never had sea grapes, they’re basically a type of seaweed with little nodules that explode in your mouth in a brininess. The ponzu sauce was a nice touch to balance it out with a tart, sour element. (Above) Watarari Kani Unagi Harumaki – soft shell crab tempura and Japanese egg roll. 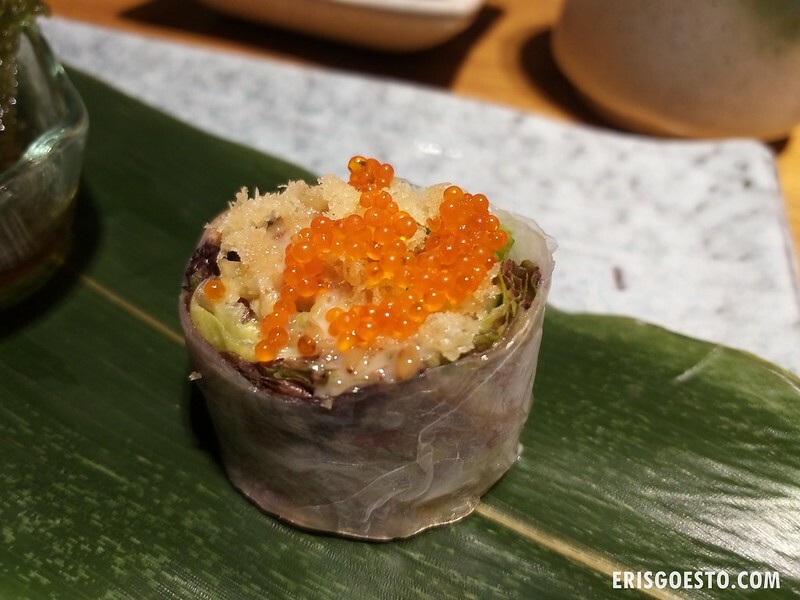 Topped with tiny pops of fish roe, the roll was a beautiful blend of textures and flavours – the crunchy, the salty, the sweet, the delicate, the silky. Am a sucker for fried things (that’s why I’m fat), so the Koebi Karaage or deep fried river shrimp was an instant hit. 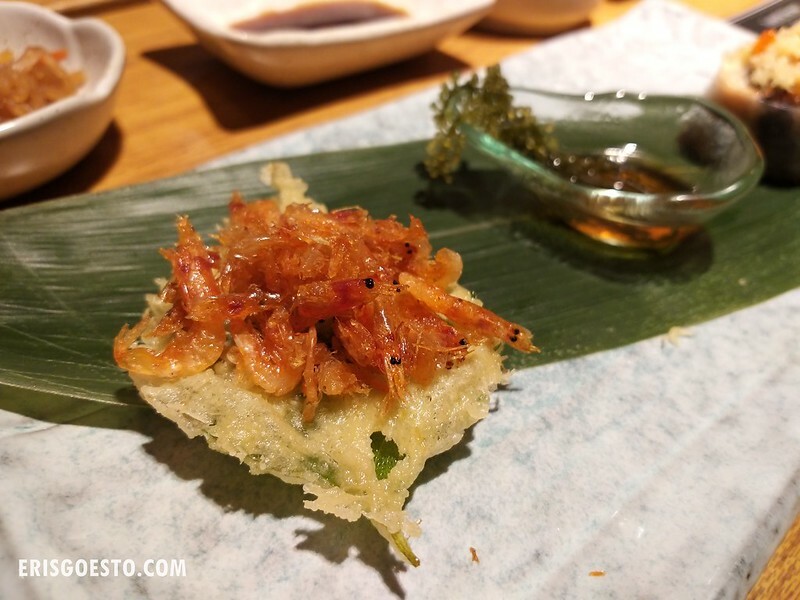 Crisp and crunchy, the shrimps sat on a bed of battered shiso leaf, which has this unique herby taste that cuts through the oiliness. Nothing like a clear hearty soup to warm the insides. 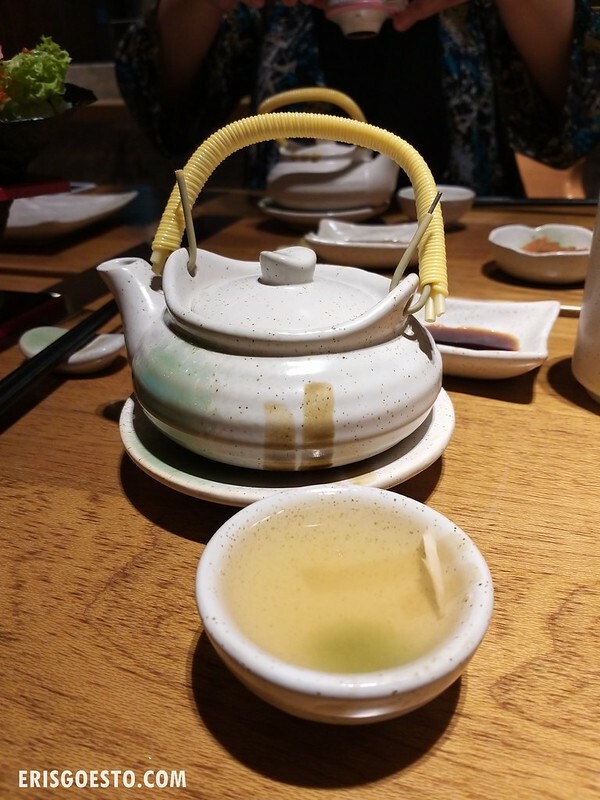 Dobin Mushi – assorted seafood with mushroom broth – was served in a small teapot, poured out and sipped like tea. 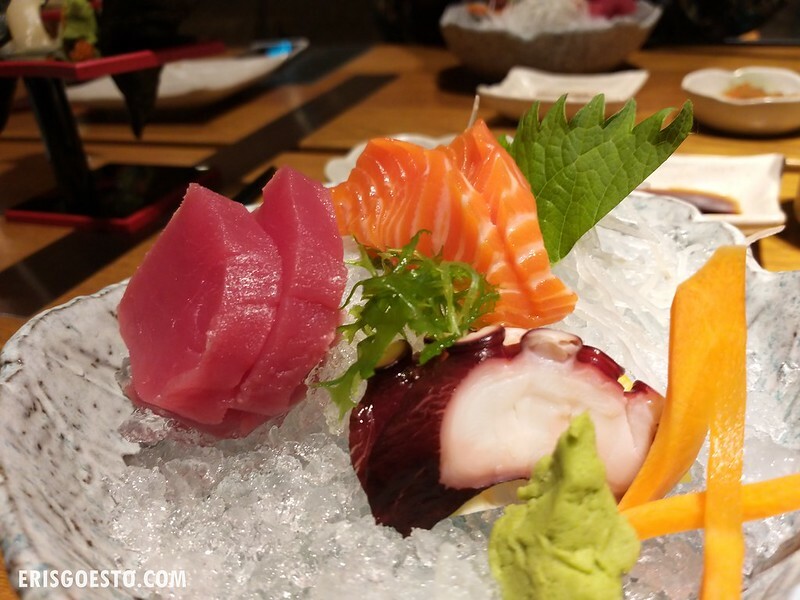 Sashimi of salmon, tuna and octopus on a bed of ice. Nicely cut and fresh, since they fly in the seafood twice each week. 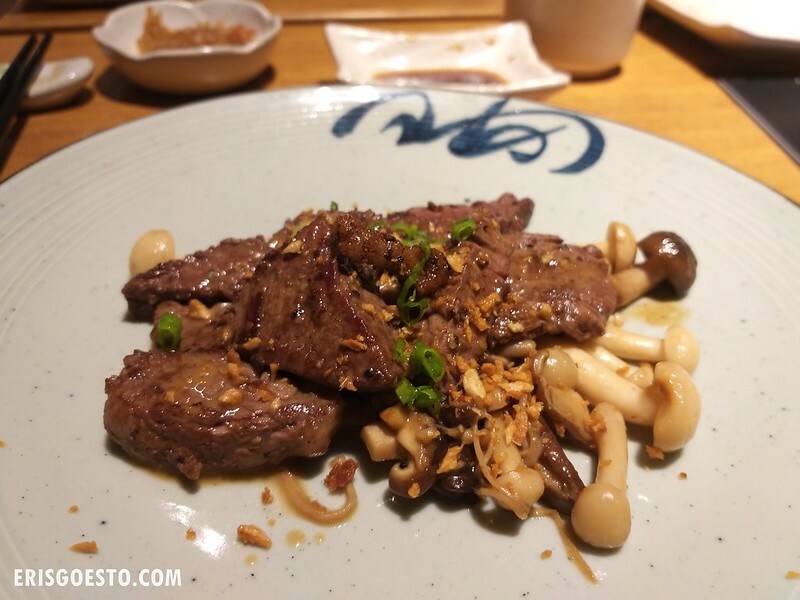 Our final entree was a teppanyaki of beef tenderloin and assorted mushroom. Some people have a misconception that the more expensive the beef cut, the tastier it will be. I think that with most meat, what matters is how you cook it, and the tenderloin was tasty, tender and went well with the garlicky flavours of the dish. Good stuff. 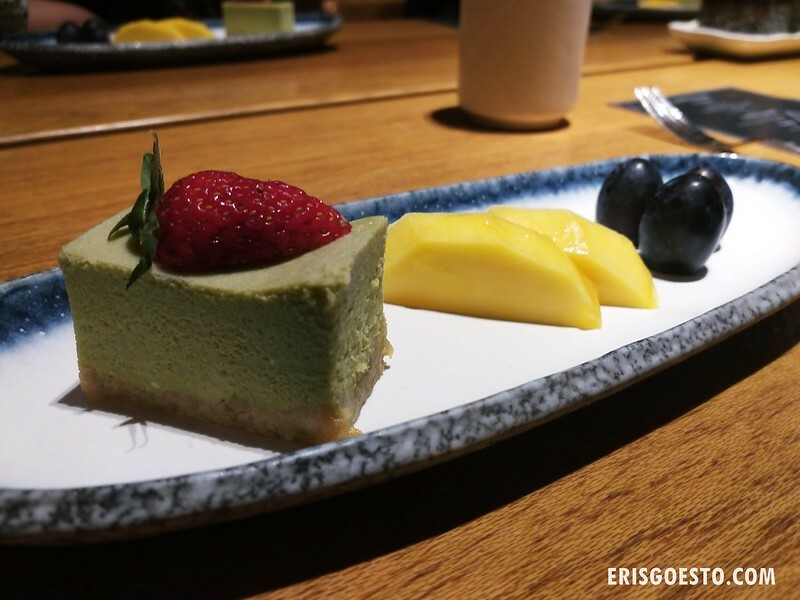 Last but not least, dessert was green tea cheese cake and mixed fruit. Was up to my nose with food by this time and couldn’t finish, but if you enjoy rich tasting cakes, this is well worth a try. The matcha gave it a hint of bitterness, but it was still a pleasant taste. Level 3A, Sheraton Petaling Jaya Hotel, Jalan Utara C, 46200 Petaling Jaya, Selangor.